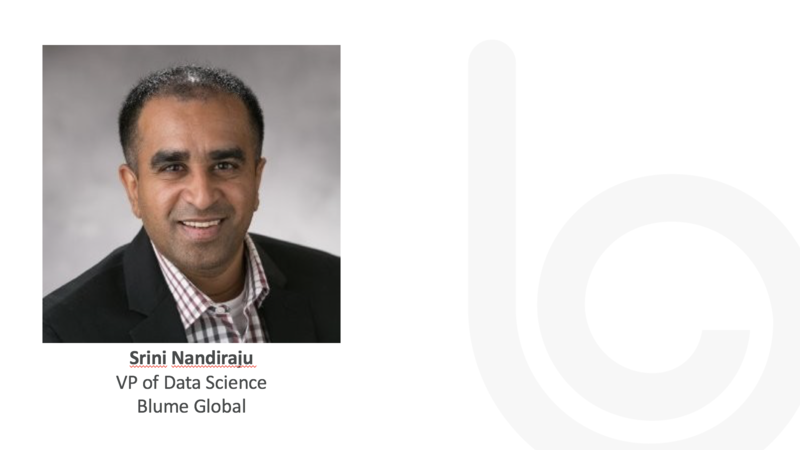 Srini Nandiraju is our vice president of data science and leads a world-class data science team that drives research and development initiatives at Blume Global. Srini previously worked at Symphony RetailAI, where he managed customer and merchandising analytics for Albertsons Companies (Safeway). Prior to that, he led data science teams at E2Open (Steelwedge) and Walmart. Srini has a Ph.D. in Operations Research from University of California, Irvine. All of us make decisions using experiences. Experiences are nothing but a stream of data points that we have internalized over time. What data science lets us do is capture insights with this data and recommend the best strategies to solve business problems. What is demand chain forecasting, and what is your team doing to help drive this? Demand forecasting is predicting resource usage in the future. For Blume Global, it is the use of containers, chassis, drivers, etc. If we are able to better predict usage, we can plan to have the right resource at the right place and right time. Our team is leveraging the latest algorithms to forecast demand. We are using time series-based deep learning algorithms to predict demand. How does demand chain forecasting work, specifically for retailers and manufacturers? Forecasting answers the following for each SKU: how much (quantity), where (what location), at what time (in the future). For example, in preparation for the hurricane season, a large retailer wants to know how many generators will be needed at local stores for the next four weeks. Retailers could aggregate all the demand signals coming from the store locations and provide one consolidated demand plan to the manufacturers. Based on this forecast, they will plan to satisfy the demand by creating replenishment decisions. Once replenishment decisions are made, they are sent as ordered to manufacturers who will produce the generators and transport it back to the retailer’s distribution centers. From there, the generators will be delivered to the retailer stores. Manufacturers receive customer orders from numerous beneficial cargo owners (BCOs). Forecasting for manufacturers is aggregating all the different requirements from various customers to determine how much quantity is needed per customer for a future date. How is Blume Global building out a network of networks? At Blume Global, we have work orders that happen across many customers. There are many repeatable moves that happen, for example, from a port location to a BCO’s distribution center. From these repeatable moves, we learn patterns and can build a physical network of moves that happen across all of our customers. We use this network of networks for the supply chain to better predict estimated time of arrival (ETA), service times at each location and actual travel times. What excites you most about working at Blume Global? 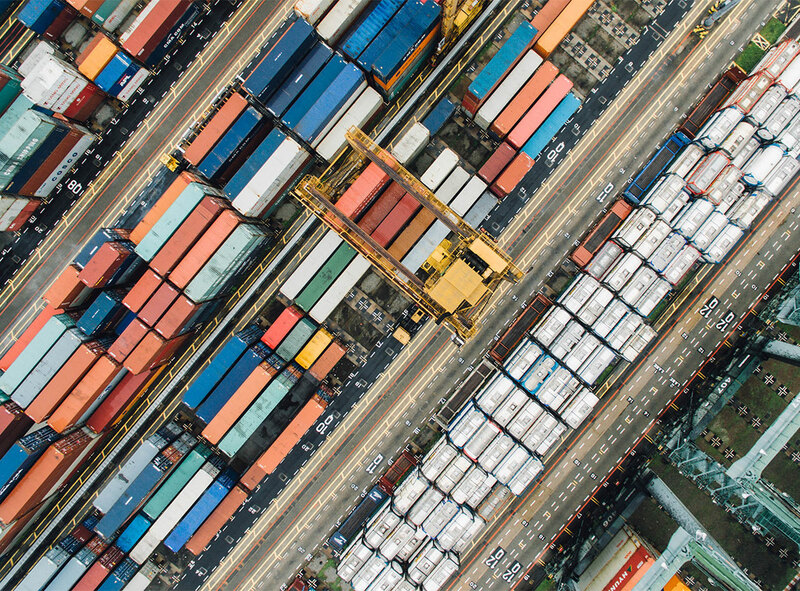 We are solving really interesting problems using artificial intelligence (AI) and machine learning in the intermodal space.